For the past two years I've been lightening my hair with the likes of the L'Oreal Sunkiss Jelly and the John Frieda lightening spray then toning it to get a whiter, brighter blonde colour. As much as I've loved being blonde I wanted to try something different and give my hair a little bit of a break from the bleach without going back to my natural colour, which is mousey brown. I've used the Casting Creme Gloss before quite a few years ago so I know with it only being a semi-permenant dye that it'll fade nicely if I don't want to keep up the colour. The shade Chilli-Chocolate really caught my eye and looked as though it would be the perfect auburn shade. 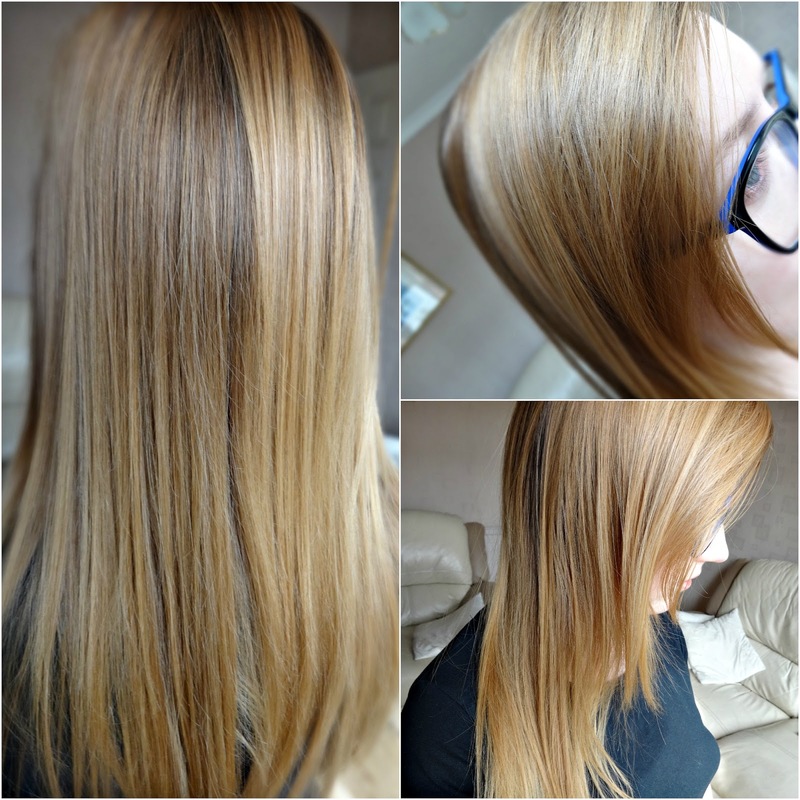 I haven't lightened my hair in quite a long time and I haven't used a toner in around 4 months so although in places my hair was still light and it did still have an overall blonde colour it was certainly darker than it used to be and there was a lot of my natural colour coming through. So here is my hair now after dying it with the Chilli Chocolate shade. I think it's a lot darker and a lot redder than the image on the box. I'll be honest it's a bit of a shock being this dark after years of having light hair and it's certainly a lot different to what it was so it's going to take some getting used to. Hopefully it will fade evenly and not go too orangey as it does. The dye itself was very easy to use and didn't smell too strong. It's also left my hair incredibly soft and shiny which I really like, even Josh commented that it looked very healthy! So will the blonde be coming back? Yes probably. At the time of writing this my hair is freshly coloured so I'm still getting used to it. If it grows on me and fades nicely then I may keep this colour for a few months but I can't see me staying away from blonde forever! 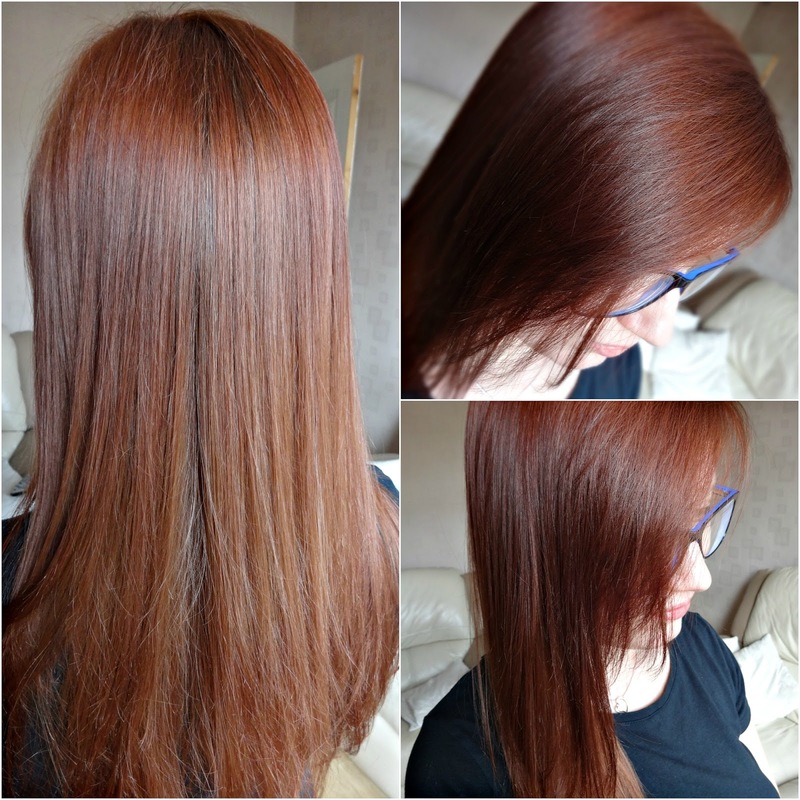 I only ever use Casting Creme Gloss to dye my hair and I love it!! However I find that it never washes out. It does fade slightly (but then I use red so that will always fade) but it never washes out. I tried to grow it out once and gave up after about 4 months.